Earlier in the week we focused on the cars that made the cut for the 2012 Best Buy and Recommended Awards as determined by Consumer Guide Automotive. Today as promised, we’ll look at the 2012 minivans, pickup trucks, sport utility vehicles that earned Best Buy Awards. As a consumer, these awards are very useful in helping you with your vehicle research. As you know, the more research the better when it comes to buying a new vehicle and with the insights that awards such as these from Consumer Guide Automotive provide, you can learn what automotive insiders consider to be the key strengths of the 2012 vehicle line-up. Consumer Guide Automotive has been providing balanced and objective new and used car reviews for the past 45 years. 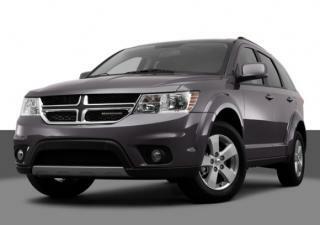 Its list of the 2012 Best Buy and Recommended vehicles is designed with you, the buyer in mind. A Best Buy rating indicates that the vehicle is rated at the top of its class and is approved by the editors at Consumer Guide Automotive. These vehicles represent “the finest balance of attributes and price within their classes and they are the best choices for most consumers”. Use this list of best buy sport utility vehicles, minivans and pickup trucks as a guide when you’re doing your research into your upcoming new vehicle purchase. Take a look around our website and watch our video reviews, read our consumer reviews, and don’t forget to download our automotive checklists.